Three current and former graduate students and two recent graduates at the University of Illinois at Chicago have been awarded Fulbright grants to conduct research abroad beginning in the 2018-2019 academic year. The Fulbright Program is the flagship international educational exchange program sponsored by the U.S. government and is designed to increase mutual understanding between the people of the U.S. and those of other countries. Recipients are selected for their academic or professional achievement, as well as demonstrated leadership potential in their fields. UIC’s five recipients are among the over 1,900 U.S. citizens who will conduct research, teach English, and provide expertise abroad through the Fulbright U.S. Student Program. Individual profiles of the winners are available where links are provided. 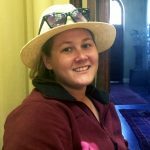 Elsa Anderson, a doctoral student in biological sciences, was awarded a Fulbright grant to study how human activities influence plant and insect communities in Berlin, Germany. Beginning in January, Anderson will spend 10 months studying herbaria and museum insect collections in Berlin and working with the Technical University of Berlin; Museum of Natural History; and Berlin-Dahlem Botanical Garden and Botanical Museum to conduct studies and other research involving plants and insects found in the Spandauer Forest. The area, which is about 10 miles west of the city’s downtown area, was bisected by the Berlin Wall for about 30 years before the wall was removed in 1989. Her research in Germany also ties in with Anderson’s research in Chicago. Here, she’s based in UIC associate professor Emily Miner’s lab in the Institute of Environmental Science, which focuses on urban landscape ecology. Her work looks at vacant city lots and assesses the social inputs that drive the biodiversity patterns in those spaces. Anderson earned her bachelor’s degree in animal sciences from the University of Illinois at Urbana-Champaign and a master’s in biological sciences from DePaul University. Josephine Chaet, a graduate student in anthropology, will travel in September to Amman, Jordan, to conduct nine months of Fulbright-supported fieldwork for her project on four women’s organizations in Jordan and the ways in which the women involved in those organizations work with and against state structures to advocate for legislative change throughout the country. Chaet, whose research interests incorporate political anthropology, anthropology of religion, social movements and gender, spent last summer in Jordan conducting preliminary research with the support of the UIC Chancellor’s Graduate Research Award and intensive Arabic language study through the U.S. Department of State’s Critical Languages Scholarship program. She also won a fellowship from the American Center of Oriental Research and the Council of American Overseas Research Centers (ACOR-CAORC), which will allow her to continue fieldwork in Amman through mid-August 2019. Chaet, a Chicago native and 2012 graduate of Lincoln Park High School, will return to UIC after her fellowship to start work on her dissertation. 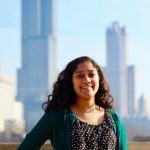 Kajal Sachdev, a 2018 UIC graduate in biological sciences and psychology, is headed to Maastricht University in the Netherlands where she will complete a master’s degree in legal psychology during the 2018-19 academic year. Sachdev, who was a member of UIC’s Honors College and highly competitive Guaranteed Professional Program Admission in medicine, will work with professionals and researchers abroad in preparation for a career that combines legal psychology and pediatric medicine. While at UIC, she conducted undergraduate research on the factors that affect juror decision making in child sexual abuse and animal abuse cases, and participated in the creation of a new social psychology scale as part of her Honors Capstone thesis. She was also named this year’s winner of the Donald and Leah Riddle Prize for Outstanding Graduating Senior, which is among UIC’s top undergraduate honors. Sachdev, a 2015 graduate of Richwoods High School in Peoria, Illinois, plans to attend medical school to become a pediatrician. 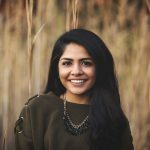 Sanjana Srinivasan, who received a bachelor’s degree in neuroscience and minor in Spanish this month, will move to Pamplona, Spain, this fall for nine months of Fulbright-supported research at the University of Navarra. She will examine the pathophysiological metabolic changes that occur in the liver and intestine related to obesity and aging, as well as the potential benefits of long-term dietary supplementation with omega-3 fatty acids, and regular aerobic physical exercise in a mouse model of diet-induced obesity. Over three years as a student in the UIC Honors College and Guaranteed Professional Program Admissions in medicine, her devotion to research flourished while studying gastrointestinal and liver issues through independent projects and applying coursework lessons in a lab setting. Srinivasan’s academic and service achievements earned her Phi Beta Kappa membership, a Presidential Award Program Honors Scholarship, a Chancellor’s Student Service and Leadership Award, and the Honorable Paul Simon Intern Scholarship from the Illinois State Society. Srinivasan, a 2015 graduate of Hinsdale Central High School and resident of Westmont, Illinois, plans to attend medical school in the U.S. after her studies in Spain. Rigoberto Robles, who earned a 2012 bachelor’s degree in graphic design and a 2014 master’s degree in Latin American and Latino studies from UIC, will use his Fulbright grant in Colombia for an interdisciplinary research project entitled “Exploring Graffiti as an Expression of Urban Art.” Robles, who applied for the Fulbright through UIC, will examine urban art and graffiti policy in Medellin.